When I was younger, I dreamed of being a photojournalist. In high school, I took a photography class and loved it and one Christmas, I was able to convince my dad to buy me my first SLR camera. I paid for my subscription to Life magazine out of my own money earned from delivering newspapers or babysitting. I spent long hours pouring over old copies of National Geographic magazine interested as much in the stories and people behind the photos as in the actual photos. I knew the names, photos, and life stories of Bourke-White, Cartier-Bresson, Parks, Adams, Eisenstaedt, Leibovitz, Lange, Avedon, Ritts, Meisel, Demarchelier, Lindbergh, Nachtwey, Newton, and Testino. As an introvert, I like the solitary nature of photography. While in a crowd, I can focus on searching for and composing a shot but can also be apart from them without anyone noticing, alone with my thoughts. Being from Rochester, NY, the home of Kodak, I, like the company, resisted the digital age. After I converted to Islam, I moved to solidify my Muslim identity, and gravitated towards a very conservative form of Islam. Certain online fatwa websites became our bible and the opinions of a few overseas scholars the final word on any issue of dispute. Anything western or American was looked at with suspicion and disdain. Strange as it may seem, there were benefits to this ultraconservatism. I read a lot of books and articles and listened to many lectures. I formed an attachment to learning and seeking out authentic religious knowledge, and forged real bonds of brotherhood and community with other like-minded Muslims. As I read online fatawa and listened to lectures, I learned of the difference of opinion about photography and my heart sank. I was so afraid of doing something wrong that I put my SLR camera away. I left rolls of film undeveloped and may have thrown some away. I resolved to follow the hadith about avoiding gray matters, so I stopped taking pictures and stopped allowing myself to be photographed. I was quite the buzzkill, always standing off to the side, neither taking pictures nor joining in group photos with friends and family. I lowered my gaze from people but also from the dunya (worldly life) because it was painful to still see with the eyes of a photographer, noticing details, and composing the next shot in my mind without the aid of camera. Eventually, I stopped seeing those details, and when I went for my driving test, I discovered that my eyes had in fact deteriorated and that I needed glasses. I hadn’t realized that objects in the distance had become blurred. Even as I learned more about the iktilaf (difference of opinion) over photography and no longer viewed it as prohibited or disliked, I still kept my distance from it. I relented in allowing myself to take photos if asked but would not consent to having my photo taken. I purchased a digital camera but never used it and sold it soon afterward to a friend. Several years ago, I heard an interview on NPR with Yusuf Islam where he described his return to making music with instruments after nearly 30 years. His son, inclined toward music, brought a guitar into the house. And one night, Yusuf Islam picked up that guitar and his fingers immediately and instinctively fell into place as he strummed a few chords. That experience led him to create his album, An Other Cup. I was overwhelmed with emotion as I listened to that story. Some time later, in the darkness of the night, alone in my room, I gently unpacked my SLR that I had put away so many years earlier. I rediscovered some old pictures and rolls of film and with it my longing for photography was renewed. I purchased my first camera phone, and then a second one and slowly began to take pictures. At first only nature shots, no people, but eventually even shots of people. I try to be sensitive to requests from Muslims who do not want to be photographed. More recently, I’ve allowed myself to be photographed. I find posing awkward and my friends know that the best way to get a shot of me is quickly, when I’m unaware, and before I can say no. Since joining Facebook, I’ve allowed myself to enjoy the photography of others, and to begin to create photo stories of my own, usually taken quite informally with my camera phone. 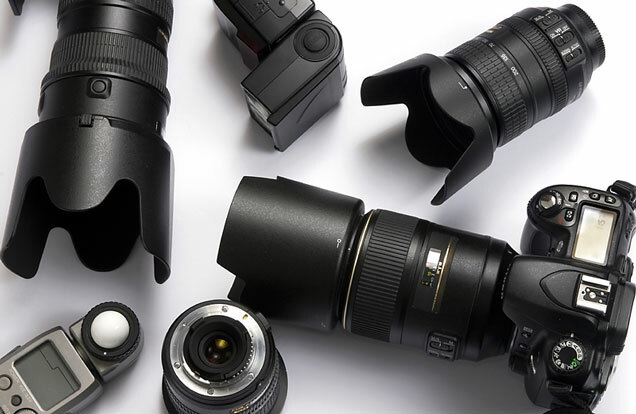 From time to time, I pour over reviews of digital cameras, point-and-shoot, mega-zooms, ILRs, and DSLRs. I’m still carefully wading into the digital era. Last week, I spoke to a photojournalist and told him that I didn’t think my photos were much good and that I might not have an eye for photography. He said like any skill, part of it is natural talent and part of it is determination and hard work. He advised focusing on a niche, studying technique, and working hard at it. Today, I purchased a camera and took my first shots with it. Photography is thus an antidote to the disorientation of our time; it replaces fragmentation with focus, forgetting with memory, indifference with affection. Alia, thanks for the kind words and for letting me know you stopped by! And welcome to my new readers and those who pressed the “Like” button above. Oo which cam did u end up getting? Ify, I dont think sharing what camera you got with the public is an endorsement. Do you have a flickr account where you’ve shared past and current photos? WOW! Interesting piece sis! I just went shopping for my first SLR last week convinced of which I’d get but was mesmerized by the choices and left empty handed – for further research. Reflecting on this, it’s occurred to me that save for the obligatory passport and driver’s license photos, I have very few pictures of myself from the last ten years or so. Precious pearl, yes, there is so much choice, it can be dizzying. Let me know if you want to discuss some options. I generally watch and read the reviews on cnet.com before I buying major items. By the way, what’s that in your Gravatar profile pic? Earlier today, I was looking through Baraka’s lovely Flickr photostream but am not sure about creating my own. I went to Quiet Waters Park in Annapolis yesterday so I could experiment a bit with the camera. I posted some pics on my public Ify Okoye facebook page. As for the camera, my first old school film-based SLR was from the Canon Rebel G series and after doing some research, I decided to go with the Canon EOS Rebel T3i. I too had a similar dilemna, was pulled out of arts classes at a young age because people advised parents that drawing and arts is haram. Such narrow mindedness prevails back in the East! Here too some people frown on photography (and even extremes such as dying one’s hair colour!). I love photography and take my camera with me everywhere. I think Allah will understand, even if people don’t. Mezba, narrow-mindedness knows no boundaries! I’ve been taking my camera with me as well and I love that last phrase, I think Allah will understand, even if people don’t. It’s such a sad thing to realize you’ve given up things, when you didn’t have to give them up. I watched a documentary film by Mustafa Davis called Deen Tight about Muslim hip hop artists and saw the trailer for one about a skateboarder who gave up his skill because someone told him skateboarding was haram in Islam. Deen Tight made me look at hip-hop in a new light. The struggle to meld Islam into our lives is universal. So, being a Muslim photographer myself, this issue is huge for me. Until recently I was a happy photographer whose business was booming, but few months back I’ve discovered the prohibition of the making images. I didn’t think twice but decided to close my business. I’ve refused to take photos of many weddings for the next season. So, my question is, why did you change your mind about photography? What has changed since you decided to give up taking photos and now? This is a honest question that as a photographer very important to me. Please share your views. A lot has changed. One, through delving into Islamic studies and life experience, I’ve matured in my understanding of Islam. I no longer rely as I once did on the opinions of fatwa websites or opinions from others, which are possibly uninformed or lacking in appropriate nuance. As for photography itself, there is a difference of interpretation regarding the hadith pertaining to fashioning images. Some interpret this to mean photography is impermissible and others say these hadith have nothing to do with photography but rather to competing with the creation of God or fashioning physical idols out of clay, stone or wood, etc. Those who have permitted photography say that rather than fashioning an idol or trying to compete in the creation, one is simply capturing a reflection of light. I have teachers who hold both opinions and lately I’ve found myself agreeing more on a wide range of issues with those who believe photography is permissible. Personally, I prefer the opinion to not display pictures of people in one’s house. You should do your own research, you’ll find both opinions, and ask the people of knowledge that you are close to or respect for their advice. I don’t believe you need to give up your career in photography. I think one of the blessings of beginning to practice Islam, is that exuberance of faith, which propels us to more easily give up any number of things to adapt or submit to faith. But one of the saddest things, is to give something up, which you only realize later you never needed to give up. Mustafa Davis, a convert and photographer has two excellent films DeenTight about Muslim hip-hop artists and their struggle to reconcile their faith with their creative calling. And another about a convert who was a professional skateboarder who have up his profession believing skateboarding to be haram. Try and find them if you can, the experience and struggle is similar. Enrolled in my first digital photography course in January, excited to see where it takes me, insha’Allah!